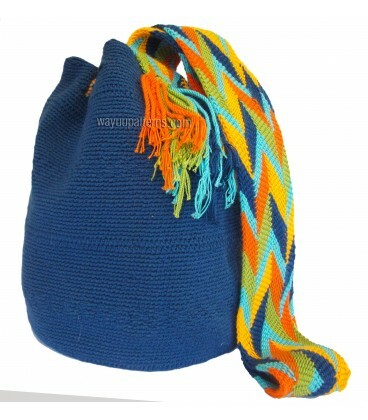 These Wayuu Pattern Mochilas are one of the most outstading handicrafts of the Wayuu Colombian Tribe.They are made by the Wayuu tribal community of La Guajira, taking in some cases up to 2 weeks for them to be completely woven. They are 100% handmade in Cotton Thread and are traditionally used as fishing net and personal use item carriers. 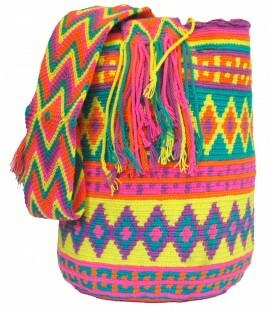 Arhuaco Wayuu Mochila Patterns simbolize elements of Wayuu tribal community surroundings .Desertic natural landscapes and animal imagery of La Guajira are simbolicly embeded in each mochila pattern. The story tells that spider Wale´ Keru first tought the weaving techinique to a single woman that then transmitted it to the Wayuu people by exchanging her knowledge for clothing and goods. Story tells that Wale´ Keru fell in love with a man; and after fleeing with him she was offered cotton as a gift ,which she swallowed and then expelled as a twisted stream of woven cotton threads. 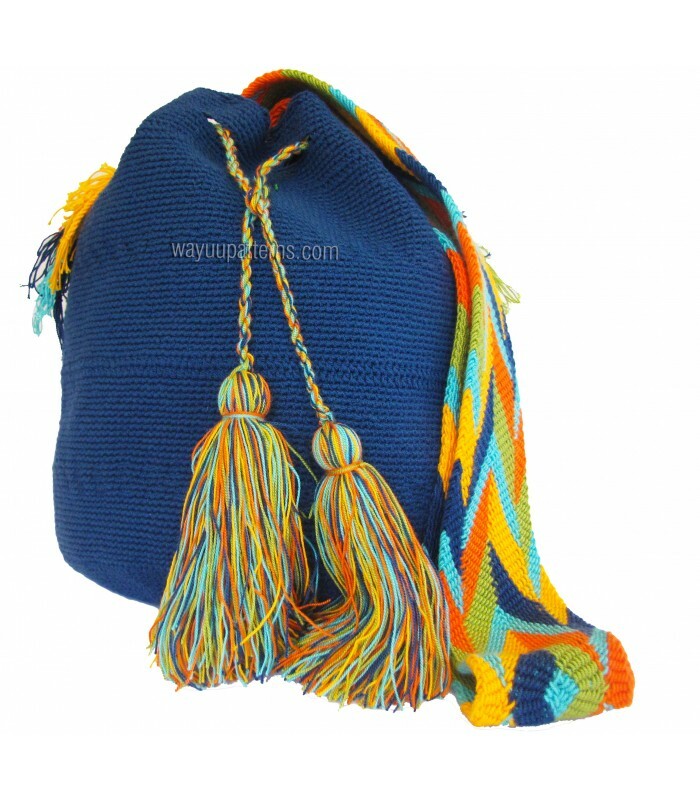 The Wayuu people are settled in Colombia´s department La Guajira, which is located at the northern peninsula of Colombia.This arid and dry landscape, poor on water and natural resources is oddly the birthplace of the color-rich and complex patterned mochilas, one of the main sources of income for the Wayuu community. The main types of wayuu mochilas depend on their shape and their size.Crochet crafts offered in this site are mainly Susu crochet bags. 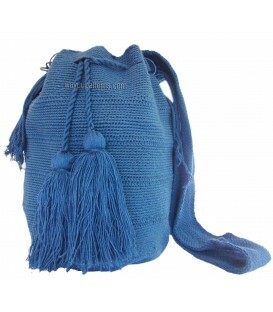 There is nevertheless a wide range of mochilas that are traditionally used by guajiro people of Colombia to fulffil specific needs. 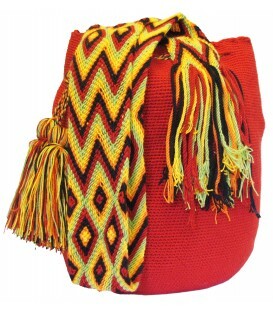 Aswell as Susu mochilas, there are other colombian mochila bags that are woven by the wayuu tribal community such as Susuchon mochilas, Kapatera mochilas,Susuainiakajatu mochilas,Piula mochilas and Susu Uttiakajamatu.